Shoppers aren't the only ones searching for deals these days. With the stock market up about 200% since the worst of the financial crisis, it's become harder and harder to find stocks that look cheap. 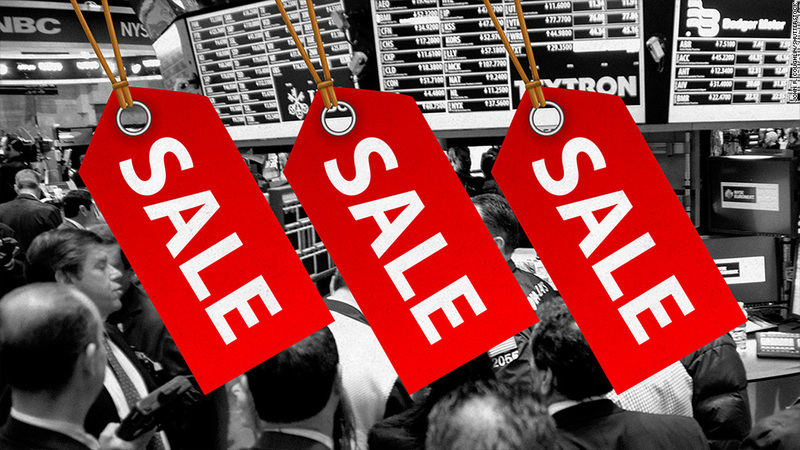 But just like how savvy shoppers devise plans to capitalize on Black Friday deals, investors should consider these strategies to find bargains in the stock market. Valuations matter: Unlike flat screen TVs and handbags, stocks can't be evaluated by their price alone. Investors need to be aware of how stocks are valued compared to their future profits. Forward price-to-earnings, or P/E, is a common valuation metric and helps investors compare how expensive a stock looks with the rest of the market. Investors are typically willing to pay a higher multiple for stocks with greater growth potential. For example, fast-growing Facebook (FB) sports a forward P/E of nearly 40, which is more than double the S&P 500's multiple of about 17. On the other hand, General Motors (GM) is trading at just 7.5 times next year's projected earnings. Don't ignore dividends: While P/E ratios are important to weigh, they leave out vital information like a company's ability to pay out dividends. Experts look for healthy balance sheets (think: low levels of debt) and companies predicting strong future earnings. A company's track record for paying dividends is also a good predictor of whether corporate management makes dividends a priorities. Companies with a long history of paying dividends are very hesitant to cut that payout. "Look at it through the lens of your own needs as an investor. If you are retired and need income, suddenly dividend-paying stocks should look more attractive," said Kristina Hooper, U.S. investment strategist at Allianz Global Advisors. Search for the ugly duckling: Sometimes investor sentiment can swing too far in one extreme or the other. If expectations fall unrealistically low, bargains can often be found. "The Eurozone is a perfect example of this," said Hooper. Investors have soured on European stocks due to deepening concerns about a lack of growth and the potential for deflation. However, the European Central Bank has recently hinted at aggressive new actions at stimulating the economy, including buying government bonds. While conceding that there are risks to buying European stocks, Hooper said Allianz believes there's "a significant amount of upside potential in the Eurozone" because the continent will ultimately avoid a recession. Take a deeper dive: Bargains in the stock market often aren't evident by just looking at the surface. For example, emerging markets may look fairly valued as a whole, but when they are broken down by geography a clearer picture emerges. Allianz believes emerging markets in Asia look a lot more attractive than other regions like Latin America because of their stronger earnings growth and healthier debt-to-GDP levels. "It's becoming harder and harder to paint any sector or region with a broad brush. Investors are going to have to drill down," said Hooper.